Stitch n Purrl: Worth The Wait! 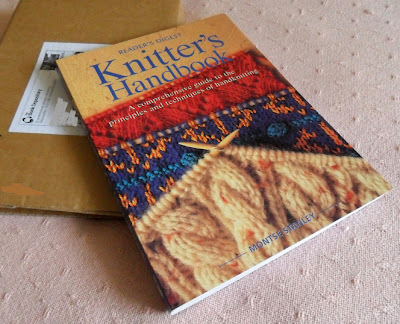 After reading such great reviews about 'Knitter's Handbook' by Montse Stanley, I decided I wanted a copy. A book with 40 different ways to cast on, as well as a wealth of other knitting information, has to be a valuable addition to any knitter's shelf. Well, deciding to buy it turned out to be the easy part...it was out of print, and out of stock everywhere I tried. The Book Depository had a copy, but I was pipped at the post before I could complete checkout! I feel it's going to be a book I use a lot! Ha! Managed to comment at last. Congratulations on acquiring Montse Stanley's wonderful book. I bought a 2nd hand copy about a year ago (in my local Oxfam shop for only £4.50 or thereabouts, just to make you jealous) and it has been very very useful. I think she has quite a witty style, too - it's not a dry read.